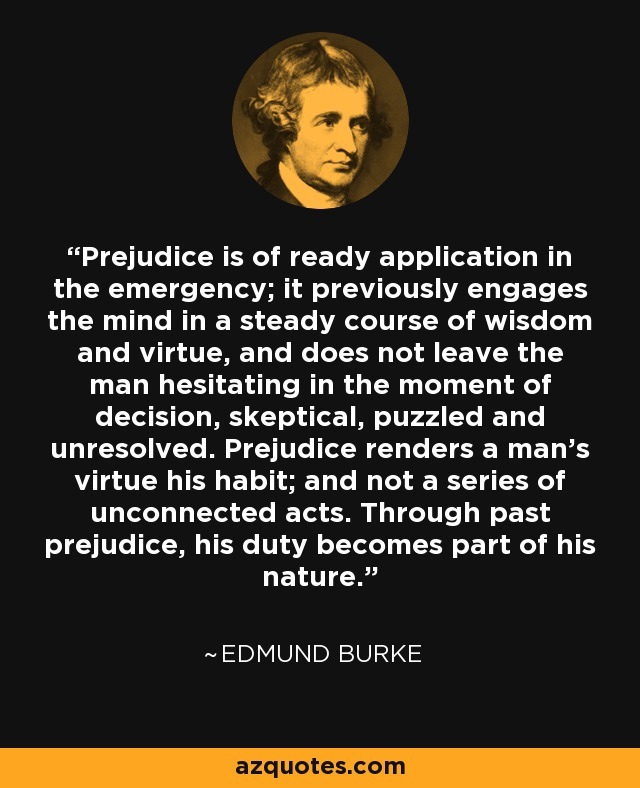 Prejudice is of ready application in the emergency; it previously engages the mind in a steady course of wisdom and virtue, and does not leave the man hesitating in the moment of decision, skeptical, puzzled and unresolved. Prejudice renders a man's virtue his habit; and not a series of unconnected acts. Through past prejudice, his duty becomes part of his nature.